Need to upgrade your camera or start out as a professional photographer? You need knowledge about the kind of DSLR camera for the professional you need. A lot of camera brands are on the market and come with various specs. You need to acquire a DSLR camera for professionals which will work better than your previous one or purchase one which will give you long mileage. That is what this guide is here for. As a professional, you need a good DSLR or mirrorless camera for professionals which will be useful in producing good quality work. Make proper comparisons of the specs each brand offer to help you in good decision making. Factors like the price, megapixels, autofocus, shooting speed and screen type or size are crucial. So, when you go into the market, be keen on what you are looking for in the best DSLR camera for professionals to achieve better results. Have a look at our best DSLR camera for professional reviews to help you make a better purchase decision. 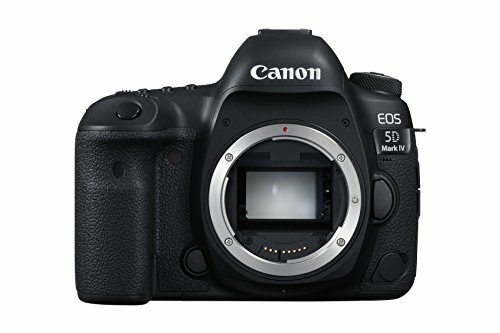 The Canon EOS 5D Mark IV is an epic camera boasting of high-end features to rank amongst the best DSLR cameras for professionals. It comes with a 30-megapixel full-frame imaging sensor plus the latest AF system. This camera has 16 point High-Density Reticular AF II system with up to 41 cross-type AF sensors. The 5D Mark IV is equipped with a DIGIC 6+ imaging processor, 150,000 pixels RGB+IR and 252 zone metering sensor to allow improved AE and AF precision. It has many options for focusing including Zone, Spot and AF Point Expansion modes. With an upgraded transparent LCD viewfinder which gives 100% coverage, brace yourself for its dual-axis electronic level with the viewfinder display and time lapse function for movies. For storage, there is a dual memory card slot supporting CF (UDMA Mode 7) and one memory card supporting SD, SDHC, and SDXC. Its compact design made of magnesium alloy guarantees shutter durability up to 150,000 cycles with improved weather and dust resistance. Find out the Best Lenses For Canon EOS 5D Mark IV to buy. This is one of the best Canon DSLR cameras for professionals on the market. It comes with more resolution, improved custom controls because of its inbuilt intervalometer with bulb timer, and quick control screen which can be customized. Getting data from this camera is super easy. It comes with super speed USB 3.0 high-speed tethering to make an image or video transfer very fast. The Fujifilm X-T2 is a mirrorless camera for professionals who desire a fantastic feel on the hand. Made in Japan, this is not your usual all-plastic made camera, this is all metal. It is a small, tight, precise, easy to use, smooth and discreet camera. The Fujifilm X-T2 comes with outstanding features. It has a cable release socket and two memory card slots. Easy to set ISO, this DSLR camera for professionals is designed from the start as a digital camera system. It has a huge live electronic finder with eye control, focuses very fast and has closed-loop mirrorless autofocus to guarantee perfect focusing at all times. This camera for professionals takes perfect shots with its unique sensor which does not use an anti-alias filter to produce sharper images than other DSLR cameras. 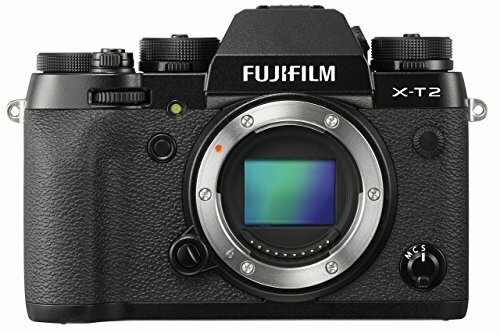 With a real ISO, 14 fps electronic shutter and aperture dial, the Fujifilm X-T2 is a class apart. Exposure mode changes automatically on turning the aperture or shutter and the inbuilt manual focus to assist loupe is perfect for shooting movies. One weakness to find on this camera is its lack of an inbuilt flash. It’s an excellent DSLR camera for professionals who know how to shot with all the knobs in the proper places. The Fujifilm X-T2 is well built with all metal engraved markings including its lenses. This camera has extraordinarily perfect auto white balance in poor light better than other DSLR cameras for professional photographers. 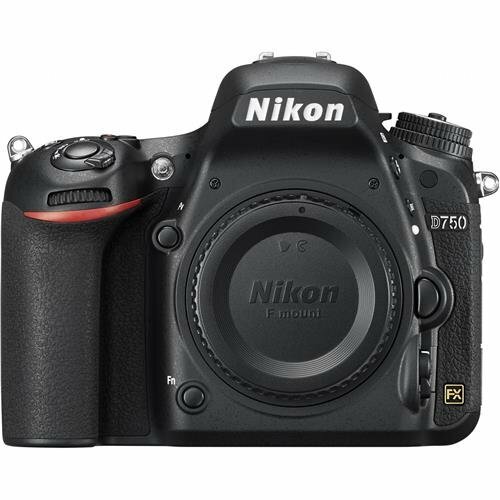 Nikon D750 offers the latest generation AF system with a tilting 3.2-inch RGBW LCD display with 1,229k- dot and OLED viewfinder. This camera features 6.5 fps shooting with advanced video functionality. Incorporating refinements Nikon upgraded on its DSLR, the D750 has a powered aperture setting for a best DSLR camera for professionals. The D750 has a new ‘flat’ image control mode with additional zebra overexposure alerts. Its auto ISO control for manual exposure video shooting does a great job of maintaining exposure compensation. As one of the best DSLR camera for professionals, it has an improved 51-point Multi-CAM 3500FX II AF functionality which is -3EV sensitive. The simultaneous internal recording is possible with HDMI output plus 1080/60p for video recording. Image sharing is catered for with built-in Wi-Fi including UT-1 communications unit for sending photos to your computer. An FTP server over Ethernet can also work just fine. The Nikon D750 misses the split screen display zoom function and extra 2 million pixels of the Nikon D810. A good companion for travelers, the D750 has a GP-1A GPS receiver attached to the hot shoe and is connected to the accessory port. Impressively, this camera has a quality build, great ergonomics and features synonymous with best DSLR cameras for photography. 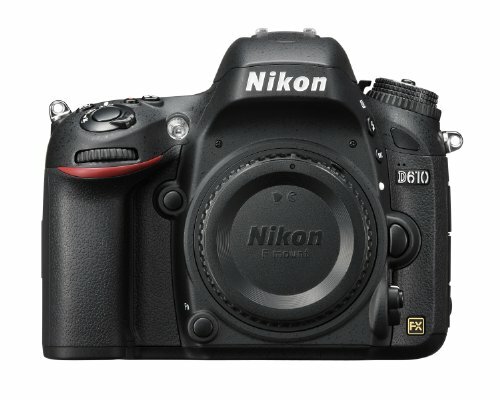 The Nikon D810 is a full-frame 36.3-megapixel DSLR camera for professionals. It offers high-quality images as a serious professional photographer with quality construction. Made of magnesium alloy, this camera has a tougher feel better than plastic bodied counterparts. The D810 is good for all conditions being weatherproofed and has split rubber flaps to keep water out. It has a 3.2-inch RGBW display with increased resolution up to 1.23 million dots to give you increased outdoors visibility and better image quality. For professional photographers, the asking price for this camera will not let you break a bank. It has fast and perfect 5-point autofocus and takes photos at a superb dynamic 64-12800 native ISO range. On the low side, the Nikon D810 has no built-in Wi-Fi and 4k video capture. It has no big difference from the D800E missing out key features which might have made a big upgrade and a lens is needed to get the most out of this camera. The Nikon D810 is made of lightweight magnesium but still weighs a hefty 830 grams. However, it remains a great Nikon DSLR camera for professional photographers. 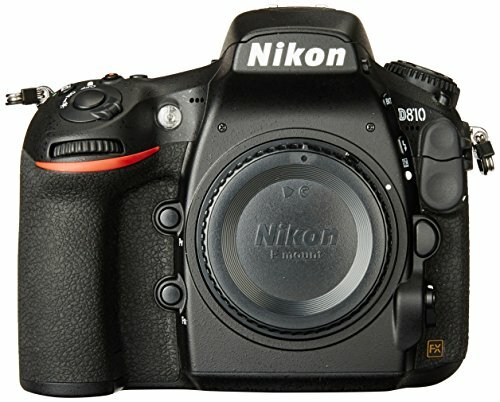 Being a replacement to the D800 and D800E, this camera produces some of the finest photos for any professional camera. It comes at a pocket-friendly price, a new conventional look, and a fantastic magnesium alloy body. 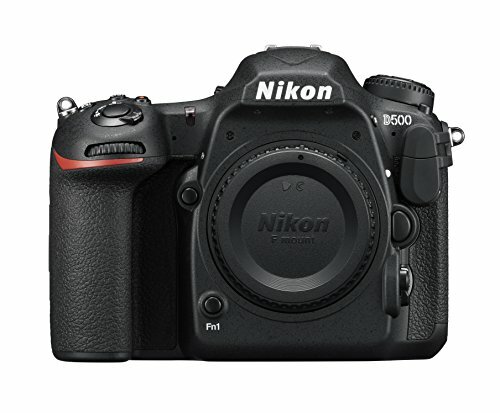 The Nikon D500 DX is one of the best cameras for professionals who like sports photography. Coming with the fastest speed of capturing 10 frames each second, this is one of the best DSLR cameras you can get. It can capture a flicker in a sports arena, gymnasium lighting or a swimming pool. The D500 has a superb auto white balance to give great colors in poor light. This camera comes with added buttons including slots for both SD and XQD cards. This is the fastest of best Nikon cameras for professional with 10fps plus AF and AE tracking. Buffer rate goes at 79 frames and can go with a fast-enough card to 14 bit uncompressed raw. It comes with a tiltable touch-screen and expandable ISOs up to 1, 638,400. One unique feature on this camera is the ability to shoot images while recording 4k videos at the same time. For shareability, there is ‘SnapBridge’ Bluetooth and built-in Wi-Fi. On the low side, the D500 misses out on a built-in flash, GPS and auto brightness control on the LCD display. Also, there is a risk of accidentally turning off this camera since it has no power switch lock. For professional photographers looking to upgrade your camera, this is the right equipment for you. It’s the fastest among DSLRs on the market with a shooting speed of 10 frames per second. This DSLR camera is every sports photographer’s companion. The Canon EOS 6D is a direct competition to Nikon D600 as a camera with the full-frame shooting. Having 20-megapixel full-frame sensor plus the latest DIGIC 5 imaging processor, this camera offers features one would expect from best Canon DSLR camera for photographers. As a DSLR camera which appeals to photography enthusiasts, the 6D offers a second or third full frame DSLR as back up. With a well-built design, the 6D comes with a petite sized and contoured grip to provide a solid handhold. It comes with inbuilt Wi-Fi and GPS-two though it lacks onboard flash. This DSLR camera for photographers allows viewing images and videos on HDTV via an HDMI cable. It comes with timer remote controller, dioptric adjustment lenses and interchangeable focusing screens. However, when shooting videos, it’s advisable to carry an external microphone for better recording of stereo sound. 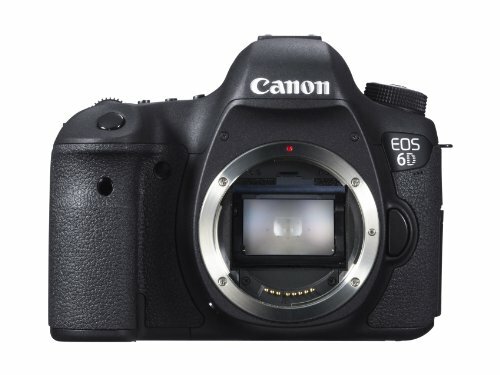 The 6D has menus which are easy to navigate including a variety of custom options. This camera misses a built-in flash and offers only one memory card slot. Find out the Best Lenses For Canon EOS 6D you can buy. This is a professional camera with excellent image quality and high ISO capabilities. One of the best DSLR cameras for photography, the Canon EOS 6D performs well with sophisticated abilities set at an affordable price. The Canon EOS-1D is a high-speed continuous shooting DSLR camera for photographers. It comes with the ability to use ISO settings marched with high shutter speeds with the longest at 30 seconds. It is a great asset when capturing moments at great speed. Its weather-sealed body is a plus in adding value to this best Canon camera for professionals. 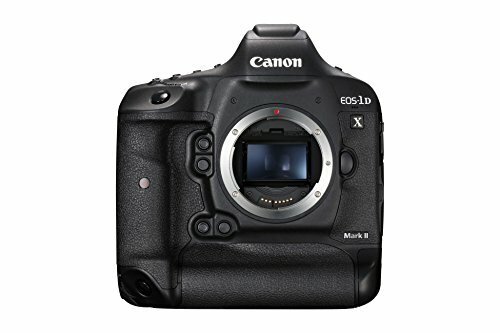 The Canon EOS -1D is a preferred camera for paparazzi photographers who need to make sure they capture the shots regardless of conditions at 12 fps. For exceptional low light high ISO performance, this camera will not disappoint. With excellent image quality using a fast shooting 100% frame and a bright viewfinder, the Canon EOS-1D adds a 3.2-inch display. Its 18.1-megapixel full-frame with CMOS sensor gives larger pixels and is the first Canon to use gapless microlenses. The sensor is then able to draw more light. ISO range extends up to 512000 with less image noise reduction. Meanwhile, this camera loses it when it comes to size and weight standing at 1340 grams and has no touchscreen. The high continuous shooting of this camera makes it ideal for sports, wildlife or low light areas where speed is crucial. Despite the Canon EOS -1D being one of the most highly priced cameras for professionals, it guarantees great value. It is one of the fastest shooting full frame cameras for photographers. The Nikon D5 is a great innovative inspiration for professional photographers. It comes with a lot of technological features which makes it possible to make low light shooting up to ISO 102, 40. It comes with precise AF detection and shoots at 12 fps when snapping continuously. Nikon D5 captures high-quality images and its videos are a 4k ultra high definition at 30 fps with the pro-grade video feature. It has new 20.8MP FX-format CMOS imaging sensor. It is one of the best Nikon DSLR cameras for photographers because of its higher resolution and upgraded noise reduction. Its next-generation AF system performs in near darkness with an expanded ISO range. The image processor is upgraded to a powerful EXPEED 5 with an extra processor for autofocus operation and computing. This camera for professionals comes fitted with a high-resolution 3.2-inch touchscreen LCD display. It has a light and magnesium alloy body which is weatherproofed. This camera’s low light capture makes it a legend among the best DSLR cameras for professionals. Capture sharp and clear images never attempted before at night. Useful for surveillance and security since it takes shots in darkness without a flash. It has a new 180k RGB advanced scene recognition to make sure every shot you take has optimal exposure. 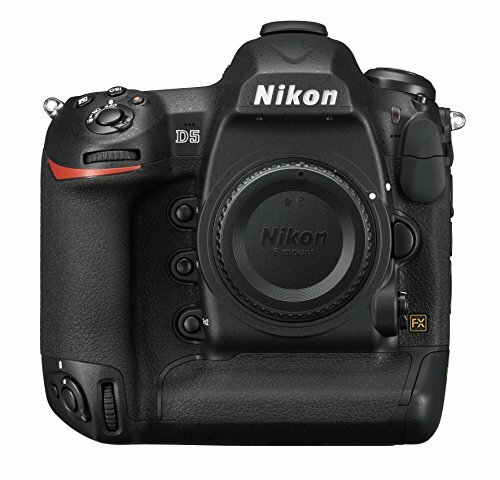 The Nikon D610 is a flagship DSLR professional camera for photographers introduced as a replacement to the D600. It comes with an upgraded shutter mechanism to enhance continuous shooting plus an added ‘Quiet Continuous’ mode which shoots at 3 fps. Therefore, this camera makes less noise when taking shots. With updated auto white balance functionality, the D610 produces images with more accurate color during artificial lighting to give a more realistic tone. It has wireless flash control with 3.2 inch 92k dot LCD display. The video output is 1080p30 full HD video with uncompressed recording through HDMI to produce high-end video specs. Built with solid magnesium alloy which is weatherproof, this DSLR camera comes with a responsive interface which can be customized. A few things to complain about on the Nikon D610 include its poor visibility of the LCD display when in direct sunlight. Also, it lacks a histogram and some AF speeds have live view quirks. However, the D600 remains a great improvement from the D600 with its improvements. D610 was made to resolve the weakness of the D600 and it lives up to its billing to make it a perfect replacement. The D610 has all the good specs of its predecessor with additional four features. It comes with 6fps, a new ‘Quiet Continuous’ mode which shoots at 3fps, an upgraded auto white balance functionality plus a new shutter mechanism. Any professional photographer would always want to be on top of their game. Always keep up to date with the latest trends in DSLR camera and accessories. When looking to buy a DSLR camera, there is a range of options to choose from regarding which brand will suit your needs. So, whether you need to make an upgrade or buying a new one, a careful comparison has to be made. Use these metrics to help make the right choice when purchasing a professional DSLR camera. A lot of factors have to be put into consideration if you are to pick the right DSLR camera. Different camera brands come with variations in features like memory card slots with some having more than one, interfacing and connection ports and physical control dials. Others come fitted with phone or microphone jacks, so it’s up to you to be with preferred specs in mind when you go out to buy a new DSLR camera. Professional DSLR cameras are known for peak speed, detail, and clarity when capturing still photos or recording videos. To achieve this, the camera uses a full-frame sensor or a top of the line image processor. As a professional, you know what kind of camera you need, including the nature of the imaging mechanism you require. Camera brands competing for market offer functions to entice professional photographers. The more features a camera offers the more appealing it becomes to customers. Manual functionality controls like exposure compensation, fine-tune focus selection points and bracketing settings enhance user experience. Look out for a camera which offers you more functionality features. There are some professional DSLR cameras made to suit particular purposes better. These include the ability to capture in low light at high speeds. And are ideal assets for photojournalists, sports and wildlife reporting. Those with high resolution are made mostly used by commercial photographers. Some cameras do a variety of tasks including capturing images and shooting videos. Does the camera you intend to buy support available accessories which enhance performance? A good professional DSLR camera allows seamless use of flashes, remotes or stands. Some DSLRs come with inbuilt flashes but you can enhance it with an external flash with ease. Others accept optional battery grips, a great idea when shooting for long hours with the extended battery life. With this guide, you will be able to get yourself a nice DSLR camera to do wonders in your photography career. Always carry out diligence when purchasing a camera to replace your old one or you’re first.